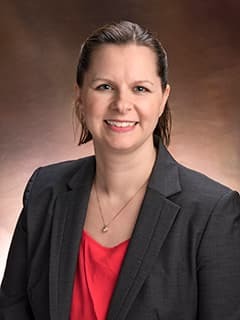 Dawn V. DeBrocco, PsyD, is a Psychologist in the Department of Child and Adolescent Psychiatry and Behavioral Sciences at Children's Hospital of Philadelphia. Cupp C, DeBrocco DV, Walton D, Wesner M. Integrating spirituality into the treatment plan. Survivors of trauma: Reflections from the inpatient setting. Panel discussion presented at: the Department of Behavioral Health and Disabilities Services of Philadelphia’s Faith & Spiritual Affairs Conference, 2014 Apr; Philadelphia, PA.
DeBrocco DV, Schultz TM, Ney R. A Literature Review of Attention-Deficit/Hyperactivity Disorder and Childhood Absence Epilepsy. Presented at the 2009 Illinois Psychological Association Convention “Scaling the Peak of Successful Psychological Practice.” Department of Behavioral Medicine, Midwestern University; 2009; Downers Grove, IL.